EXTRA SAFE & SECURE- our patent pending safety latch design give you the peace of mind only a Trampoline Pro ladder will. PREMIUM BUILD - powder-coated steel frame for long-term durability. UNIVERSAL FIT - designed to fit nearly all trampoline shapes and sizes. EXTRA-WIDE STEPS - easy for children to step on. TEXTURED STEPS - increases your child's' traction. EASY INSTALLATION & ASSEMBLY - quick and easy to assemble. Comes with all needed hardware and tools. 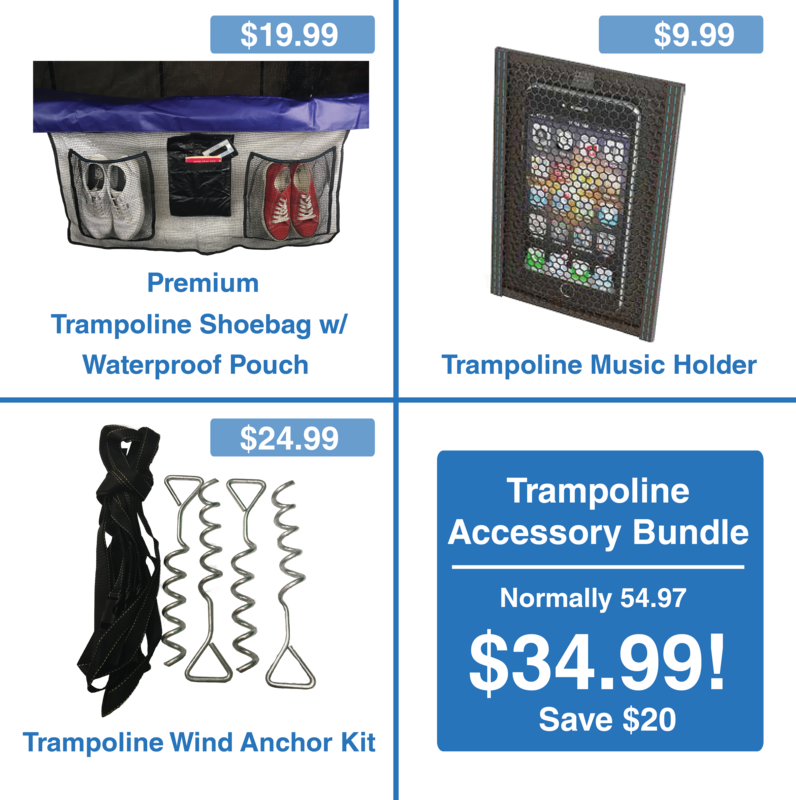 Trampoline Pro’s premium trampoline ladder makes accessing your trampoline easy and safe for jumpers of all sizes. A galvanized and powder coated steel frame ensures long-lasting performance. The extra wide steps are easy to use, even for the smallest of feet. Featuring quick assembly, utilizing a secure but easily removable design. A must-have for all trampoline owners.